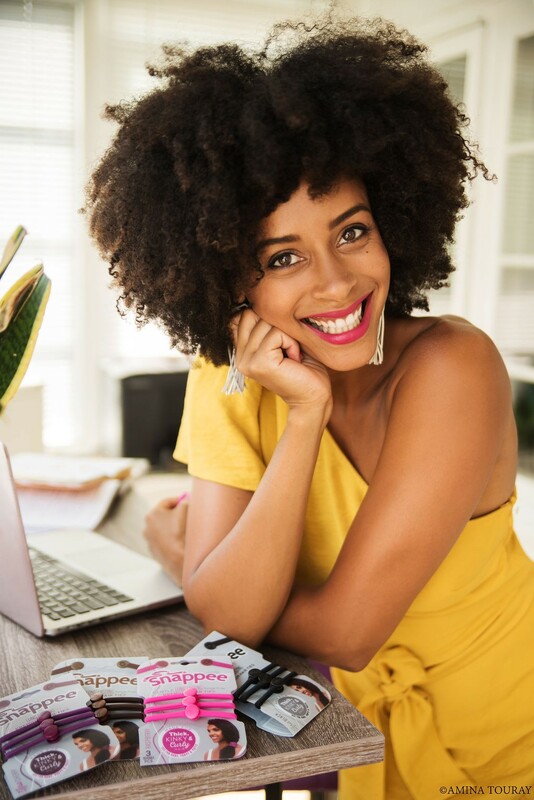 5 Tips for African-American Hair by Natural Hair Model Turned Entrepreneur Keziah Dhamma! 1. Hydrate! Don’t make the mistake of using shea butter and oils before you’ve used water. This can cause dryness and breakage from the lack of hydration. Let the water soak into your strands first, and then you can use oils to moisturize IF your hair is in a healthy, hydrated state. Avoid trying to squeeze your thick, curly hair into drug store elastic bands. Using tight bands can cause split ends and broken strands. Use soft hair ties that don't damage your hair so you can grow the long, healthy natural hair you want. 3. Apply deep conditioner to your strands at least twice per month. Deep conditioning allows your hair to really soak up nutrition. A good deep conditioning treatment will make your hair more moisturized and less prone to breakage. 4. Wear a head bonnet at night. Friction from a cotton pillowcase can cause breakage. You may not see broken strands on your bedding in the morning, but they will show up on wash day. If you want long healthy hair you must avoid breakage at all costs! Wear a satin bonnet at night to reduce breakage, retain moisture and preserve your hairstyle for the next day. 5. Use products with gentle ingredients. Using products that contain harsh chemicals can easily lead to dryness and eventual breakage. Avoid sulfates, formaldehyde, petroleum, parabens, some alcohols, and synthetic fragrances. Opt for natural, chemical-free products to keep your hair in the best condition. Natural Hair Model Keziah Dhamma says that one of the best ways to reduce breakage is to use hair ties made for YOUR hair. 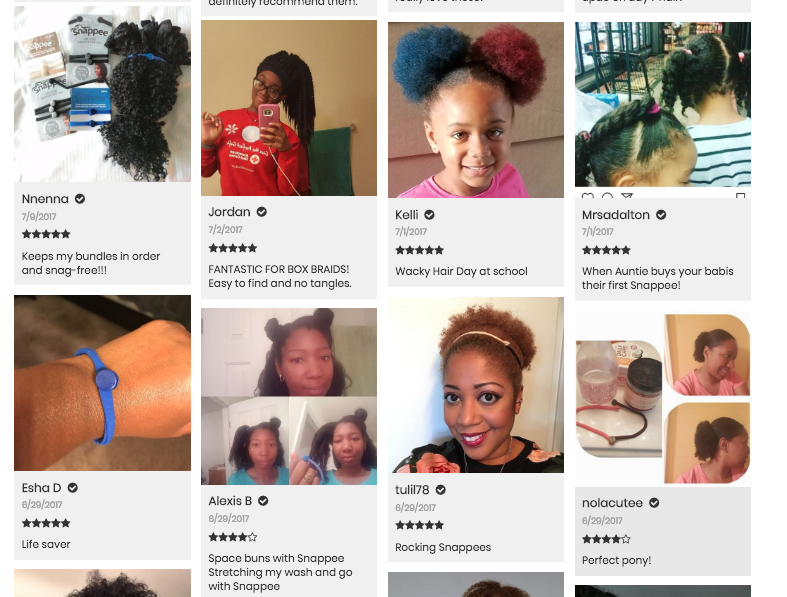 She created Snappee Hair Ties for women who want healthy natural hair. Are you struggling with finding the right hair ties for your natural hair? Either your hair gets wrapped and tangled around the ponytail holder, or the hair tie stretches out too much and breaks, leaving you with a useless, broken hair tie AND damaged hair! “That used to happen to me ALL the time, and I was actually really tired of it. 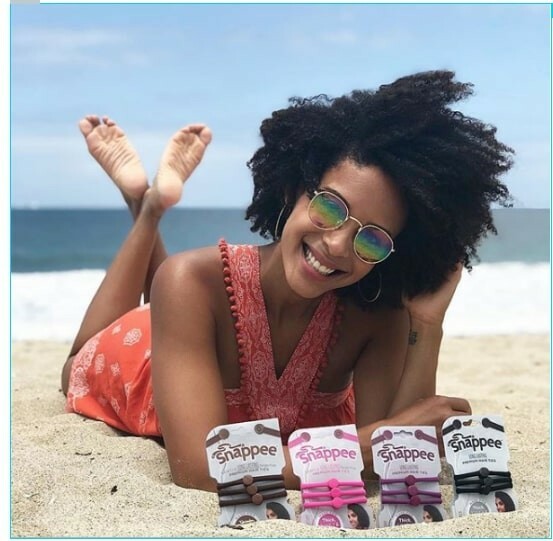 That’s why I created the Snappee Hair Tie,” says Keziah Dhamma, Founder & CEO of SwirlyCurly. This hair tie is exclusively made for naturals who want healthy hair and easy styling. These gentle hair ties are hugely popular among naturals because of their ability to create natural hairstyles easily and without wasting money on throw-away drug store ponytail holders that were made for thin hair. 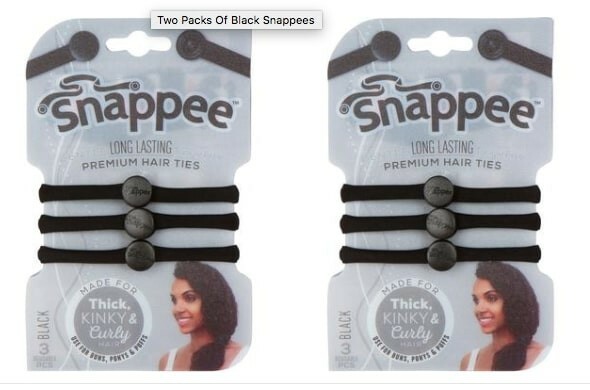 Snappees snap together to make a wide variety of natural hairstyles and they come in packages of three for ease and convenience. 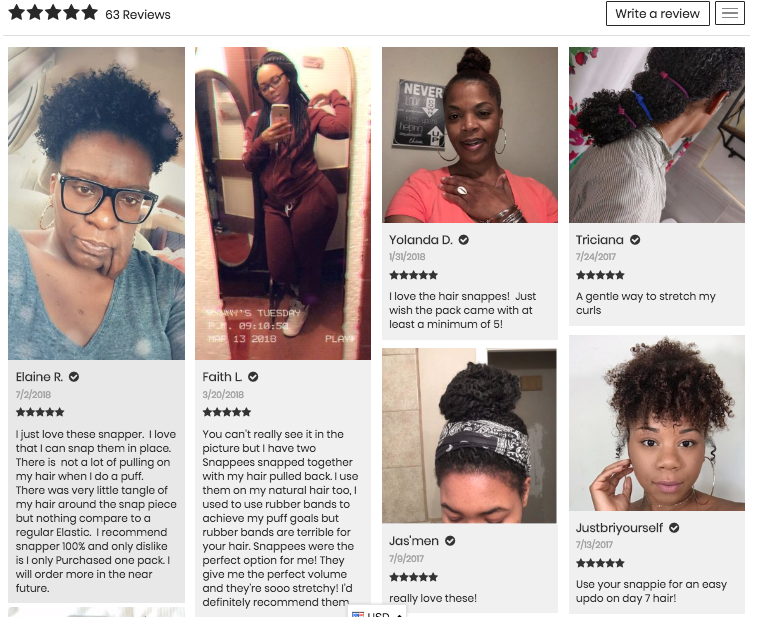 Snappees are a must-have for creating high puffs and other fun hairstyles and they make your natural hair routine much easier. They’re made of super-soft stretchy nylon material, similar to the fabric of yoga pants. This premium hair tie sells for $14.95 for a pack of three on the website and there are multiple money-saving bundles available too. Judging by the photos and videos, Keziah, who is a model, has no trouble keeping her natural hair thick and lustrous. 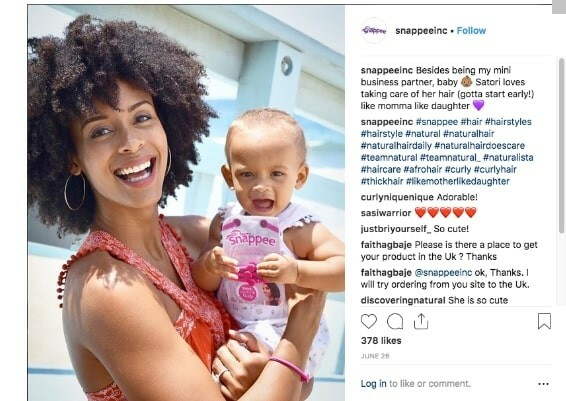 She praises her Snappee invention for helping her to grow and retain beautiful, healthy curls. “You can use it like a regular hair tie. You just wrap it around your hair as many times as you need,” she explains. Keziah comes from the modeling and acting industry, where she worked for brands like Verizon & Mercedes Benz. The pressure was always on, and she had to look her best. “I was at home one day and I had a bunch of auditions, and I had my hair in the perfect afro,” she remembers. When the idea came to her, she wrote it down and did not stop there. After three hard years of trial and error, Snappee was born. Today, it is one of the most widely used hair accessories among naturals. Snappees come in packages of three, and there are four colors: Black, brown, pink, and purple. They look like a regular hair tie, but they have a unique snap feature that you can undo easily with your thumbs. Have a lot of hair? The good news is that Snappees are adjustable. Snap two of them together to create a larger hair tie—the perfect solution for tension-free styles. Snappees are stretchy enough to hold thick, curly hair, but soft enough to protect the curls from breakage. The result is gorgeous hair and ZERO damage to your precious natural curls. 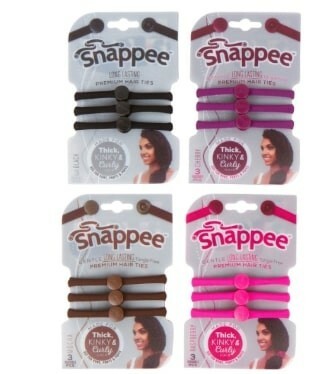 Click the 'BUY NOW' button below to try out Snappees, the only hair tie in the world with a lifetime guarantee! 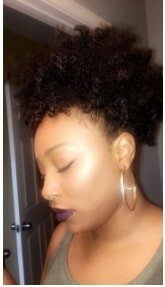 Snappees give me the perfect puffs! Not too tight, and doesn't damage my hair. I love Snappees! 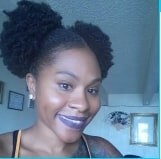 Here is my hair in a signature puff with NO tension headache. I put two Snappees together due to my hair's length and density.